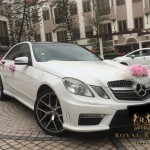 Wedding Car Rental Tips 2017 - Wedding Car Singapore | Royal Rides specializes in wedding car rental, limousine services, and luxury car rental to cater to your perfect wedding needs. By now, you have picked out your bridal gown, chosen the right flowers, designed the perfect table setting and hired the best makeup artist and photographer. You also have made the final adjustments to your wedding decorations and finally finished planning the seating chart just yesterday. You cannot help but feel a little worried for the weather on the big day as you peer out from your window. Just when you got off the phone with the bakery for your wedding cake, your fiancé strolls in with a wide boyish grin. As he opens his mouth to speak, you shudder, recognizing that gleam in his eyes all too well. “I’ve always wanted to drive a Lamborghini,” he says wistfully. It is glamour at its finest to rent a swanky car to make a grand entrance at your wedding ceremony, or leave a lasting impression as you and your groom dash off into the sun. Over the top? Maybe. But who cares, it is your wedding. Even though it sounds glamorous, renting a car is easier said than done. There are many aspects of renting that need research. To help you ease the load, we have put a list of things you might want to consider before putting down that deposit. The list is endless, but definitely choose a car that suits your wedding theme. Think beyond the typical white limousine or the predictable red convertible. 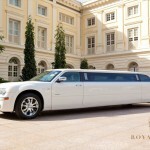 How about arriving in a sleek silver Rolls-Royce or a vintage Ford jeep? Or making your gateway in a pearly white Mitsuoka Galue or a charming Volkswagen New Beetle Cabriolet. It’s a buffet of automobiles for you, so choose something that not only fits your budget, but also you and your partner’s taste. A Vespa makes a wild idea too! Consider a chartering a bus for your guests if your wedding venue is out of the way. Or maybe enlist a pool of vehicle-owning friends to ferry them instead. If not, you might want to treat both your entourages to sweet rides to the location! They have been working hard for you, so give them a chance to celebrate by handling their travel arrangements. A glamorous limousine or a charming Volkswagen van would be great choices! Most rental car companies provide decorations as part of the rental package. However, you can still contact a boutique do it for you, or maybe let your creative juices flow and design the vehicle yourself! Traditionally, old shoes were tied to the back bumper to ward off bad spirits, or sometimes even tin cans to make as much noise for attention and luck to the newlyweds. Of course they are are road hazards, hence we do not recommend that. Consider balloons instead! Easy to decorate and come in a variety of colours, tie the balloons to the back bumper watch them be tousled in the wind as you drive off into the sun. A hand-written note is always personal and heartfelt. So why not write these messages on your car window? Use window markers of distinct colour or an aerosol snow spray to write or spray messages. Keep them short and sweet. The classic “Just Married” works just fine! 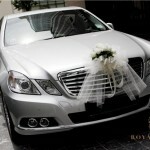 Streamers and ribbons are the go-to decorations for your wedding car. Tie the streamers to the antenna, side-view mirrors and door handles. Use ribbons if you want a more elegant and classy look. Usually these decorations go hand-in-hand with fresh flowers and plush toys. Remember to choose colours in theme of your wedding! Going bare and naked sometimes might be a better choice, and we mean your ride. Not only does it save costs, the money you put into renting your sleek convertible can be displayed fully in all of its automobile glory. Plan out the schedule of the whole day, taking in consideration the start and end of your ceremony, the time your guests will take to get from one point to the other, and also add buffer time for unforeseen circumstances like heavy traffic. Ensure there is a parking space on arrival, because the ceremony most probably will start once you have reached. Avoid frantically finding a lot at the last minute or get a friend to do it as he or she might miss out on the celebration. 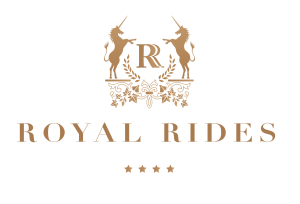 Consider using the valet service if provided so that parking will be the least of your worries. Different car rentals charge differently. The costs is dependent on varied factors. The model of the car is a given factor, but the same car in another company might cost lesser because it might be an older model. Keep note on how companies charge on the usage of the car. Some charge daily, hourly, or even by the number of trips. Also keep in mind the charges if you need additional time with car. Go through thoroughly what is insured if anything happens to the car. If you appoint one of your buddies to be an additional driver, you may need to register him as one or not he may not be covered by the insurance. From this, ask yourself whether you prefer to self-drive or have a chauffeur. If you self-drive, you may need to cover the costs of petrol, ERP, and be liable for anything that happens to the car. Whereas with a driver, you can just sit back and enjoy the ride. Other costs you might want to look out for is the security deposit which you are expected to pay on the spot, and will only be return to after the whole service is completed. To drive a rented car, there may be some requirements, which also vary among different companies. For instance, there is a minimum age of 23 years old, and a maximum age of 60 years old. Some companies also implement a certain number of driving years to be eligible to drive their cars. All in all, pick your priorities when it comes to renting a wedding car. If it is over your budget, or adds to your stress, do without it or use a car that you already own. Remember it is your day, do what it feels the best for the both of you.